One morning Duncan’s silence had a new quality. He seemed to be waiting for someone to speak, and at last spoke himself. ‘I don’t know, Uncle. No one else did,’ said Grant, not acknowledging the shyness attendant on mention of the dead. ‘It is nice to have it in here,’ said Nance. Historically, nice has a chameleonic character. But Duncan’s description of it as ‘odd’ is specific to the context: it’s not a word he would have used to refer to the change in the room. It is an unsatisfactory usage, and in A House and Its Head nothing unsatisfactory is left alone: it must be picked at, as a means of picking at the person responsible. 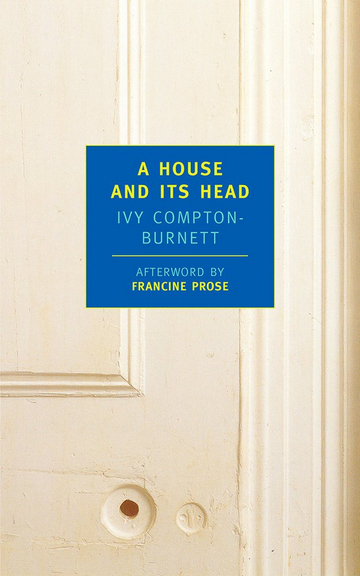 With characters so quick to tussle over niceties, every word counts, and so it was for Compton-Burnett. This entry was posted on Saturday, November 10th, 2018 at 11:43 am and is filed under books, language, literature, words, writing. You can follow any responses to this entry through the RSS 2.0 feed. You can leave a response, or trackback from your own site. Well, while we’re about it, and in the spirit of this blog, have you used ‘eponymous’ correctly? Duncan is not referred to by name in the title but by a descriptive phrase. I accept that it’s ultra-peevish to insist on etymological purity (cf the nonsense about ‘decimate’) but the core source of the word is the Greek for ‘;name’and all the quotes in the OED are about actual names. That’s a good point, Bev, and a fair question. My use of eponymous is loose, or at any rate an extension of standard use. Editing more strictly, I might have omitted the adjective, especially since ‘head of the house’ echoes the book’s title sufficiently.